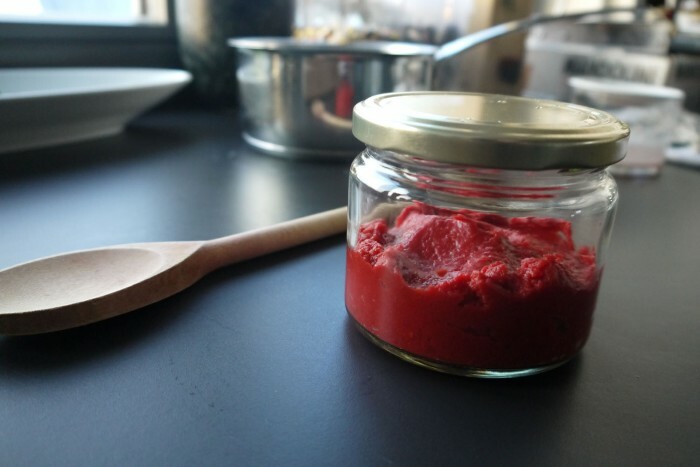 Here at Edible Alchemy, we seem to have curious taste buds and are always happy to meet others with the same lust for new flavours, trying something different and maybe a bit out there compared to conventional food preservation. When I (Alexis) and Natalie first met, it was actually during a tomato-canning workshop at our local university. Our fascination for flavours, food-waste-reduction, food experimentation with preservation techniques was always there. However with this particular technique of canning, we were constantly warned about botulism (one of the most dangerous food born illnesses that exists). We both thought ‘there must be another way’. The chances of botulism were not high if one follows the exact rules of canning…. Which as we both are very much free-style-foodies, we realized that risk was already too big﻿﻿. With fermentation, there is no chance of botulism to occur as one creates a more acidic environment naturally through the lactic-acid fermentation process. 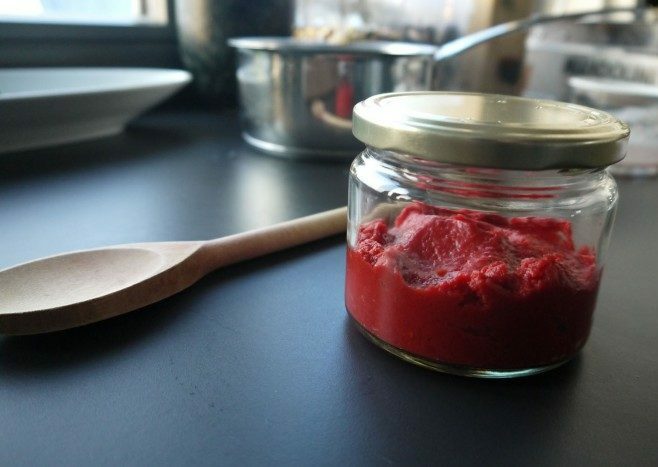 Here I am pleased to have been presented by a fellow workshop﻿﻿ ﻿﻿participant a tangy, safe and probiotic way of preserving those surplus tomatoes into a thick, rich, and probiotics paste that lasts! 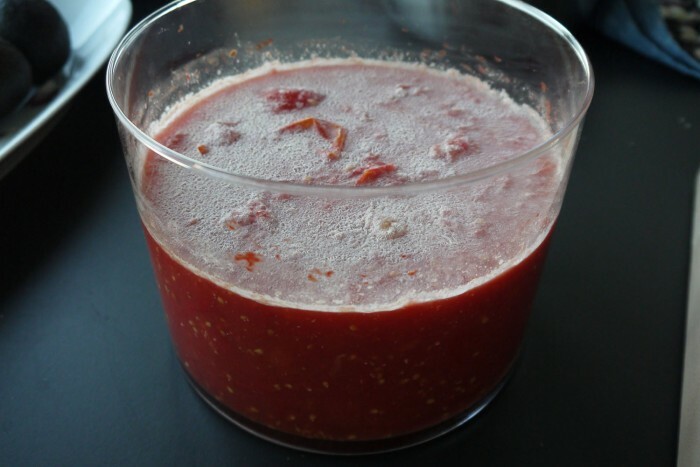 The tomato water that is surplus can also be used as soda-starters (or in your fancy bloody-marry cocktails), backslopping into new krauts, soups, sourdough-bread starters etc. 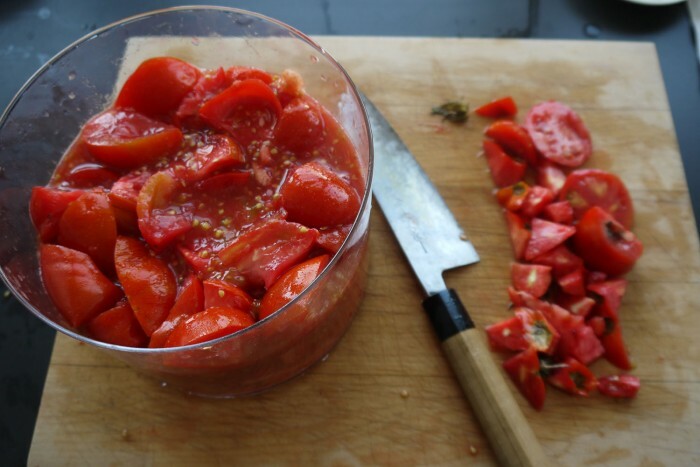 You can technically start with as many tomatoes as you like as there are not any other ingredients you need to add in proper proportions. And salt is added at the end according to your taste. - Yeasts will start to develop already the same day – there are lots of sugars in tomatoes which yeasts will love to feed on. This yeast needs to be stirred into the mix at least twice a day. - The mixture will be bubbly for around the first 5 days and then around the 6th or so (of course depending on the temp. the ferment is in), it will stop bubbling. - Using a cheese cloth, strain the tomatoes. Often a yeast will quickly develop on the outside of the cheese cloth. Do not worry about this. - Once you have your thick paste, save the juice in jars (best to have an airlock to reduce off-flavours building) for further projects. Salt the paste to your taste palette and keep for several months. Mine has been fermenting for 5-6 days now but doesn’t have the white layer of yeast on top and is bubbling only slightly. I’m wondering if this has something to do with the fact that I’m using a plastic container to ferment it in. It tastes alright. Tangy, tomatoey. i would think that its from a lack of yeast on the tomatoes. but dont worry, that should come naturally from the air as well with time. it might just take a bit longer 🙂 enjoy the tang! Thanks for the reply. I kept going with it and now there is a nice layer of yeast and tang. Will filter it at the weekend and write my results here if interested. The tomatoes were the cheapest you could possibly find, which might have had something to do with the slow pace. can you leave some liquid to get like a pizza sauce. Sorry about my english, excellent website!!! I feel like I’ve missed something. Somewhere between crushing the tomatoes in the jar, and straining w a cheesecloth. Do I add anything else to the jar? Thanks. amazingly enough nope! its just the natural sugars and flesh of the tomatoes and yeasts in the air. salt comes after! Hi, love this idea. I normally do lactofermentation with salt. Quick question. In the instructions you said to use an airlock. Is that only for the excess juice or the whole process? Thanks in advance. 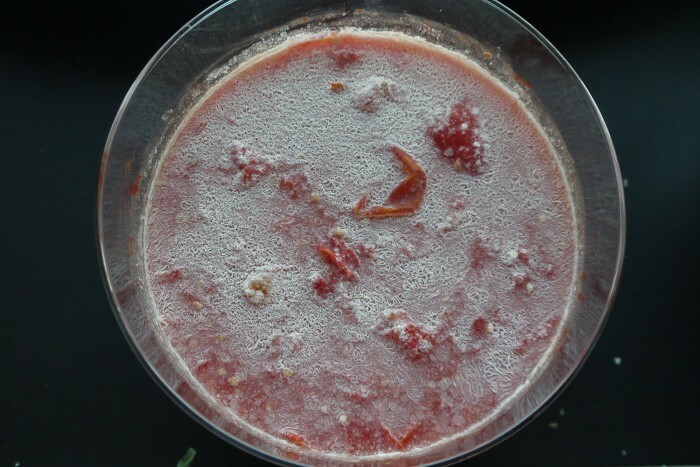 You can too add salt to start, as one does with most ferments, but this one will happen as fruit fermentation (tomatoes are too a fruit) with the natural yeasts and sugars of the tomato, and then adding salt afterwards. 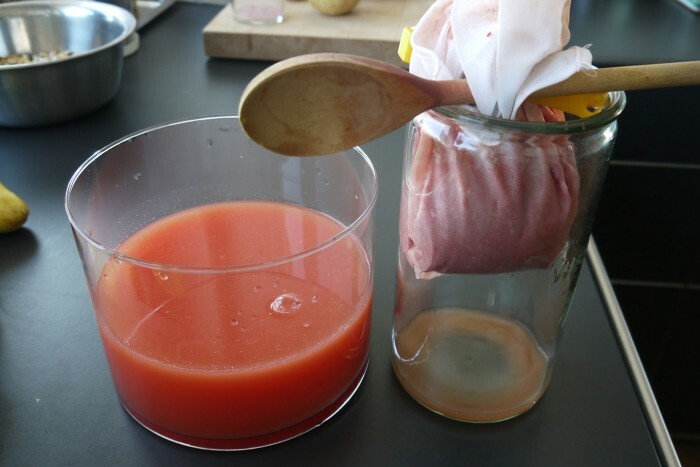 Would you be able to use a vinegar starter culture in the tomato juice, place it all in a glass jar with air lock on and then in the end have some sort of tomato-vinegar or fermented tomato puree? Yes for sure! i never say never – there is always room to experiment. just be aware that with a vinegar starter it will become much more acidic – but thats what you want for a tomato-vinegar right!? let me know how it turns out!